Flashes of the past aren’t hard to see if you don’t close your eyes. 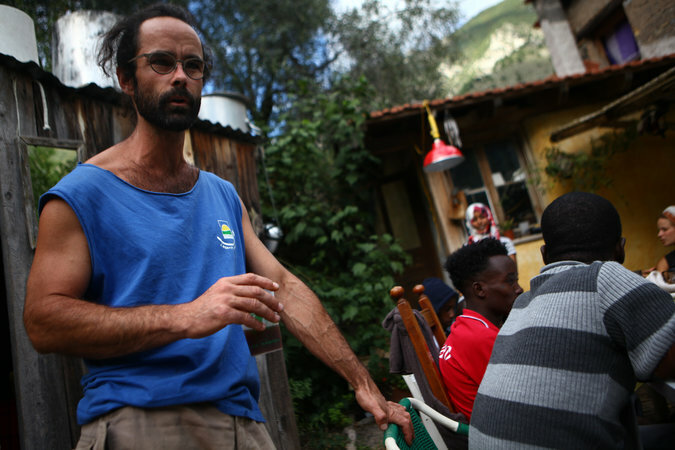 Many French see past injustices repeat in the quaint train stations of rural southern France as African migrants are rounded up and sent back to Italy where they will most likely be again deported. The scene was too much for some as “smartly dressed passengers averted their gaze.” Part of the local French population see it as their civic responsibility to turn in any migrants to the authorities while others disobey their government and fight for those who have no money, no common language and simply want to escape whatever misfortune lies behind them. Sadly, it seems misfortune is just as universal as man’s desperate battle to stop it. Read the New York Times story here. This entry was posted on Friday, November 11th, 2016 at 5:34 pm and is filed under Uncategorized. You can follow any responses to this entry through the RSS 2.0 feed. Both comments and pings are currently closed.